“Free Again” is the second album California Heavy Metal act Hell fire and was released on August 18th, 2017. Hell Fire are one of my personal favorite bands in the recent years to come out of the New Wave of Traditional Heavy Metal scene with the release of their first album “Metal Masses” released last year. Their sound is inspired much by the NWOBHM and very clear evidence of early Metallica influences all the way down to the wah and fuzz powered bass soloing throughout. However they managed to keep a consistent and varied pace throughout the album to keep it original enough.Now with their second album we see them become a four piece with vocalist Jake Nunn taking over second guitar, so I was curious if they would keep a pace like their first album or if it would be more simplified songwriting. But with the release of their first single, the title track, the album definitely has a similar vibe. So lets dig in and see if the band can keep the flame burning. 1.Free Again- Right off the bat this song gives more of a vintage metal feeling akin to early NWOBHM bands. The pace has that bumpy early Iron Maiden vibe to it but the vocals still have that sound on the brink of speed metal with a real ferociousness. The production actually has a 70’s vibe with the bass being very punchy against some nice playing melodic guitar dueling. Overall it definitely is a catchy mid paced opener that shows the band branching into a bit of a different sound but keeping their roots close enough for the song to fit in their overall style. 2.City Ablaze- I love the opening of this song and how it builds. It again has an early speed metal vibe to it and is quite catchy as well with some really fluent guitar soling which I feel sound a lot more pronounced than the first album. They just feel more in your face and raw. This track overall is pure oldschool fist pumping metal and Hell Fire make it still feel fresh and fun. 3.Live Forever- This song is one of the most infectious on the album for having very simple galloping pacing and a really catchy chorus as well. The bass work in the background is really fun to listen to as well and shows just how tight this band really is. The break in pacing in the middle is always a great segment too it keeps the flow of the song varied as well. 4.Wheels Of Fate- As the song opens very softly, the song rolls right into classic speed metal territory again. It has a similar pace especially in the verses to the last track but with some nice dueling guitar solos sprinkled throughout that keep the energy running high with the melodic chorus as well. Overall, this songs very energetic and fun and the guitar solo is one of my favorites on the album as well but I also feel in parts sounds too similar to the last track. 5.Beyond Nightmares-The beginning of this song is awesome with the fuzzed out bass really taking hold building up to probably the best song on the album. I just feel the band really go all out for this one with everyone pushing all they have and one I hope they add to their live set. The frantic riffing coupled with the vocals is the biggest take away for me and really make the song at least in the main part as everyone plays an important role. This is just a great thrashing song and shows Hell Fire really at their peak of heaviness on the album. 6.The Dealer- This song goes back for more of those classic British heavy metal riffs through out with a more galloping mid pace to it. It definitely adds more variety to the album instead of nothing but speed which I like. This is definitely one of the catchiest songs on the album that a lot of old school fans can get behind. 7.Destroyers- Every time I replay this song I get like an early Overkill or early Anthrax vibe to it with it on the brink of classic and thrash metal. As it has a faster pace, it still manages to be a good sing along song during the verses. I do like how it ramps up during the chorus as well. There is also a great bass solo right before the main guitar soloing as well which is always welcome. 8.End Of Days- I suppose this song is the epic song of the album with an opening featuring cleaner guitars and some nice shimmery soloing as well that I appreciate. 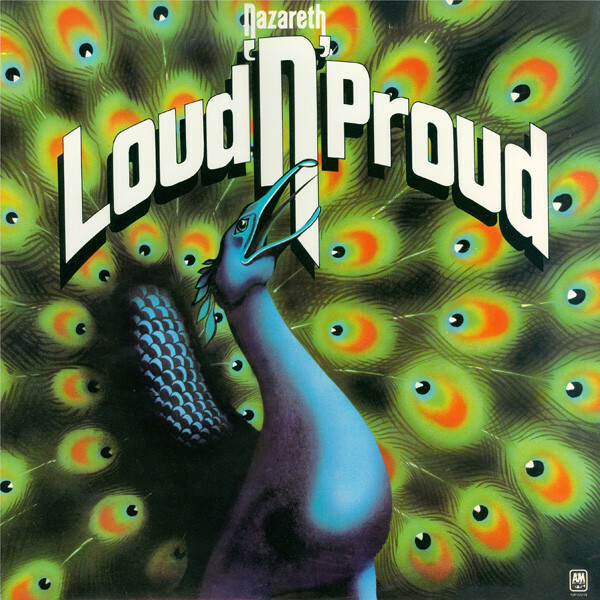 I almost get some Thin Lizzy vibes here mainly with the more fuzzy late seventies like production as well. I really love when the song reaches its climax with a very powerful mid paced chorus that would work well live as well. However, it then starts to get into a more frantic riffing territory that shows this being the most varied song on the album and the longest clocking in just over seven minutes. This is a very well done closer by the band and shows them still giving all they’ve got this far in. Overall, I give the album a 7.5 out of 10. This album isn’t mind blowing or game changing in anyway, however I don’t think that was what Hell Fire was going for here. The band managed to create a fun and entertaining old school metal album that does borrow some of the sound from their first record but with a more loose and heavy production, the album manages to give you something a bit different in return. While every song is good, I did feel some parts were too similar to other songs but didn’t hinder my experience as much. If you want to a hear a really tight talented new group keeping the early eighties style of metal alive, then check out Hell Fire you won’t be disappointed! Welcome back for another Headbanging Highlight of the Week! Well Frost and Fire in Ventura California is only a month and a half away and i’m gearing up big time to see some of the best of the best from today and yesterday. One band in particular is Jaguar from England. This will be their first outing in the US making for a very rare and special performance. 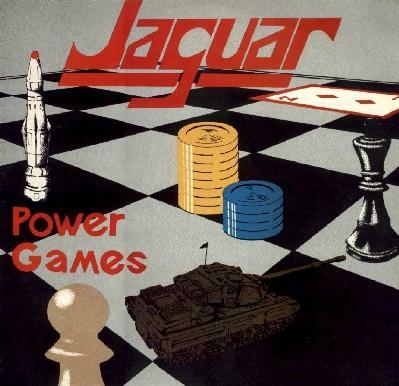 Their 1983 ferocious debut “Power Games” has been on repeat a lot this week for me and definitely should be on your playlist too! Overall, this album is simply an early masterpiece showing the future of heavy metal becoming faster and more aggressive but still being true to that NWOBHM sound. This album has so many highlights like “Dutch Connection”, “Prisoner”, “Raw Deal” and just about every other track. It keeps a very consistent pace and is one you need to hear or own if you haven’t heard it before. 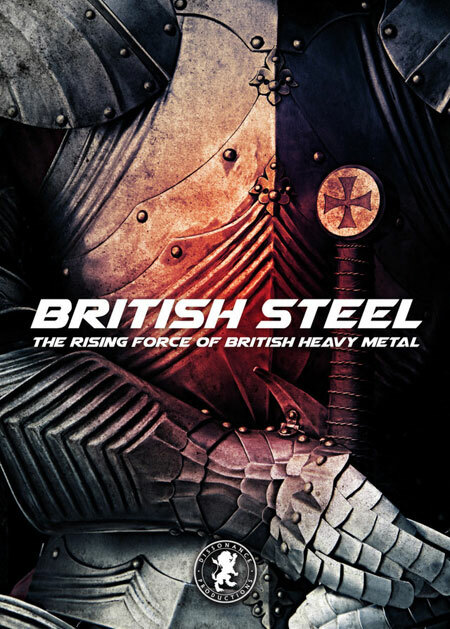 For lovers of NWOBHM and pure unabashed heavy metal, check this one out. Also, if you have a chance, check them out at Frost and Fire this year along a lot of great other acts, it surely won’t be a performance to forget. After multiple successful Days of the Doomed fests, promoter “Mercyful” Mike Smith finally put the show on the road this year with the Tour of The Doomed featuring Apostle of Solitude, Beelzefuzz, Spillage and legendary 90’s Heavy Rock act Sheavy on their first ever outing in the United States. I was lucky enough to catch the tour at Reggies in Chicago on August 13th and overall, it was a very solid show. First up for the evening was Apostle of Solitude. Their set consisted of heavy slower brooding Sabbath inspired riffing with more melodic vocal deliveries. The band was very tight in their performance but their set I felt lacked a bit of variety. In particularly their last few songs I felt just went a bit too long until their very last song which went for more speed with the band ending on a very explosive note. Overall, not bad but could’ve used a bit more variety in songs. Prog/Doom act Beelzefuzz were up next on the bill and definitely were one of the most unique bands of the night. With a very proto metal sound with proggy elements, these guys were very entertaining. Again, they definitely had their songwriting chops down very well and even brought Spillage vocalist Elvin Rodriguez on stage to duet with one of their earlier songs. Overall, I felt their set was very well paced and definitely earned them some new fans as well. Ahh, Spillage what can I say about this band? Ever since hearing some of their material back on MHXradio almost three years ago, I fell in love with their sound. I was able to see them a few years back but seeing them with their new frontman(who had a leather vest sporting a Born Again patch which is badass) and showing off some new tracks was a real treat. The new songs blended very well keeping the hard rock feeling their first album held dear but with a bit more of a progression to it. They were definitely my favorite of the night as being a big fan and supporter it is almost to be expected. Finally, we have the elusive and grooving rockers Sheavy hailing from Canada. This was history in the making as they had never toured the US before so it was a real treat. They played I would say a good balance of classic and newer songs from “Electric Sleep” to “Shadows” and everything in between. I do wish they could have played “Born In A Daze” which is a favorite of mine but oh well. The set I felt was well balanced with slower and faster songs peppered throughout and their sound was impeccable besides the vocals being a bit buried at times. Overall, a very solid closing for the show as a whole. Overall, like I said besides a few nit picks with how sets were paced, it was a very solid show. You got hat you paid for, hard rocking, chugging and grooving doom metal from some of the best of the best. I am hoping this tour does well and we get another like it either next year or in coming years, I know a lot of acts that would be clamoring to do a show as heavy as this. The tour runs until the 19th of august ending in new york so if you can catch any shows between now and then, do it, you won’t be disappointed. 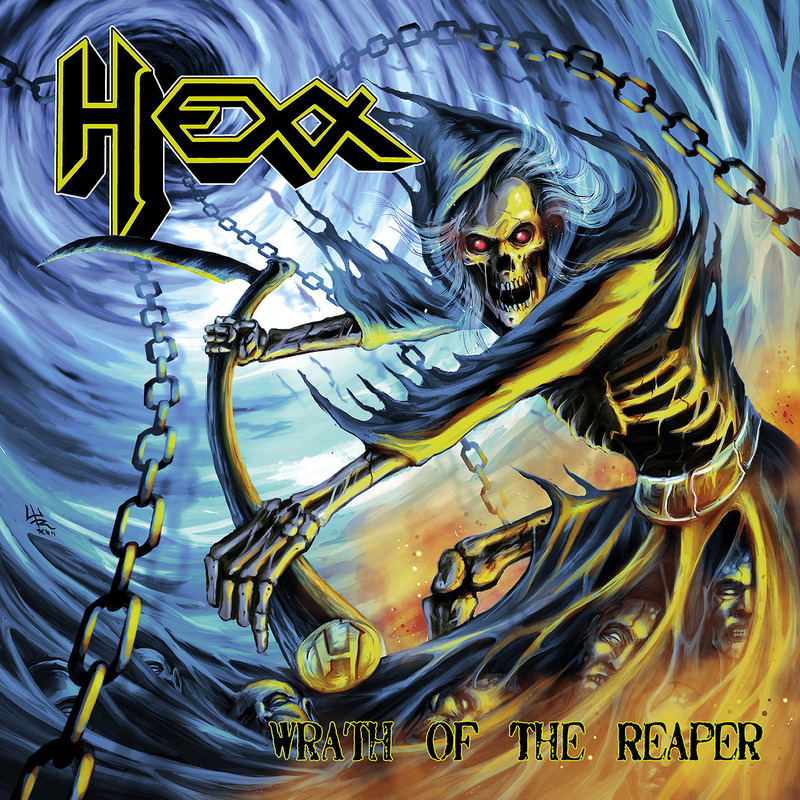 “Wrath of The Reaper” is the fourth album by San Francisco based Heavy Metal group Hexx and is to be released September 15th, 2017. Hexx are one of those bands like Riot where they sort of have a different sound with each of their records. For example, their debut entitled “No Escape” had more of a power/thrash metal feel where by their third album “Morbid Reality” they had adapted more of a death metal-esque sound. Either way I always thought that it made them more of an interesting band with more substance to them. Now in 2017 we have their first album in 27 years. This album is sort of a combination of all their styles and even adds the legendary Bob Wright of Brocas Helm infamy. But lets see how the album really stacks up. 1.Macabre Procession of Specters- Opening up with some marching drums we get a very raw heavy riff that has a lot of groove to it as the song goes on. I really like the production on the album as it has a very raw sound especially in the drums in how well the bass drum clicks, it just sounds very live and I really like when drums have that sound captured on a record. The sound has sort of a traditional? speed metal feel to it especially with the thrashing chorus that is quite catchy as well. Eddy Vega’s vocals I have to say hold up amazingly with that heavy grit but with the ferocious high screeches that make him such a powerhouse. Overall, this is a great old school sounding tune that would fit in well with their older material. 2.Screaming Sacrifice- This song goes right for the jugular with no holds barred speed metal with a very Priest feel to it but the band put their stamp on it well with a lot of frantic heavy riffing all throughout. it almost has a progressive metal feel to it and is done very well and very tight. 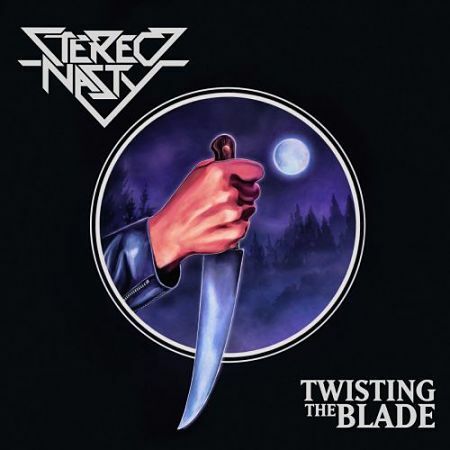 The verses I find very catchy here it definitely warrants for multiple listens with some melodic solos sprinkled out as well making it a varied and very original speed metal tune. 3.Slave In Hell-This song has a very old school progressive metal feel to it with a lot of bouncy time changes throughout but still having a heavy traditional metal feel as well especially with the scratchy yet epic sounding vocals. This is one of my favorites on the album with a hard galloping pace and memorable chorus. A must listen for sure. 4.Swimming The Witch- Opening with this pulsating fuzzed out guitar that is epic as hell, the song has this really infectious almost Egyptian sounding main riff and another infectious set of verses as well. The band definitely utilize a lot of early US power metal feeling on this record especially in its pacing. They also are very good at writing original songs as so far no song has sounded the same or even that much similar which is very good. I love the solo in this song as it almost sounds like something from Mercyful Fate. Another absolutely winner of a song. 5.Dark Void Of Evil-This song has a more slower epic pace to it opening with cleaner guitars but still having that raw atmosphere the rest of the records has as well. This is one of the best on the album with some very intriguing riffing that have a sort of ominous melody to them and a lot of soaring vocals that are always a treat and show the band in top form. One of the most original tunes offered here. 6.Unraveled- This song has more of that Power/Speed metal style that we heard earlier in the record and is so damn energetic. It is definitely one of the more simple songs on the album but it is also one of the most fun with a classic as can be solo that just sends the song as a whole over the top. 7.Voices- This song has a bit of a modern feel to it with the vocals singing along with the bass and it works very well. Hexx today sounds like what modern popular Heavy Metal groups should sound like. This is another track that shows the very tight playing between all members as well. 8.Exhumed For The Reaping- I get a very Iron Maiden feeling from this song just for the sheer power and epic notions it carries however with a bit of a heavier kick to it. I love how heavy and grooving the solo is for this song making it my probably my favorite moment of the album with both legendary guitarists trading off and getting seemingly more intense. Definitely one of the most fun tracks on the album. 9.Circle The Drain- The opening of this song does drag a bit but it is a good build to the main beat with a straight almost Exciter sounding tune. The punk roots here cannot be denied as it keeps to a very simple chugging riff at least most of the time. This is an absolute barn burner of a song and for being this far into the album, it definitely holds your attention all the way through. 10.Wrath of The Reaper- This tune sounds like it is straight out of 1985 with the band sounding just like they did on their first few records. The production like I said before really helps this album sound vintage but the bands performance is just as amazing as it was beforehand as they don’t let up to the very second. Definitely one of the best closing tracks I have heard all year! Overall, this album gets a very well deserved 9 out of 10. With Hexx added to the growing scene of underground acts being revived, they have managed to be one of the best in having the ability to create a record that is not only continuing a very faithful old school sound but also showing a lot of creative writing and progression within a lot of the songs presented here. However, there are some more simple moments that are just as fun if not more sometimes. This is an album you positively don’t want to miss out on this year.